November-December 2017: Inazawa Ginkgo Yellow Leaves Festival - Sobue Icho Koyo Matsuri - held in Inazawa City, Aichi Prefecture, Japan. 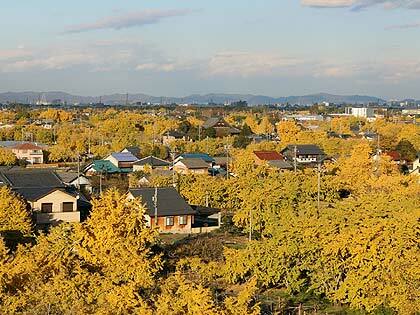 Sobua has over 10,000 Ginkgo (Icho) trees, some are over 200 years old. Particularly worth seeing are the Ginkgo tunnels (illuminated by night) and the Ysenji Temple.